Whilst this is a big day in your life, have perspective. It’s a party, a celebration of you and your significant other’s formal bond — there’s no reason to be stressed because really, it’s a celebration. Sage advice there from the beautiful Elise in this morning’s super chic Manhattan affair. I couldn’t not open with this mantra because I think it’s all too easy to forget amidst the madness of colour themes and dresses and table plans and favours and centrepieces. That’s not to say that all of these bits and pieces aren’t important but more that it’s about you and your partner and the love you have for each other that’s paramount on your big day. But of course you all know this already. 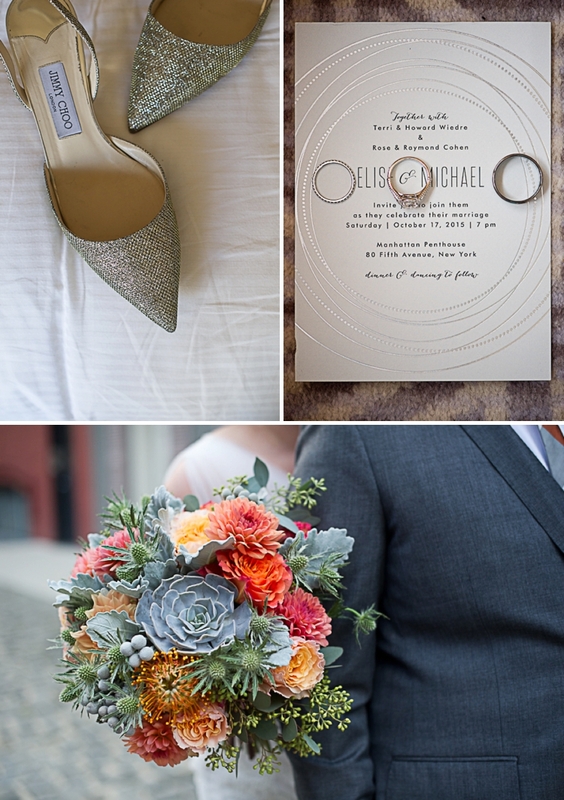 What you don’t know yet is how epic Elise and Michael’s big day was…but you’re about to find out. 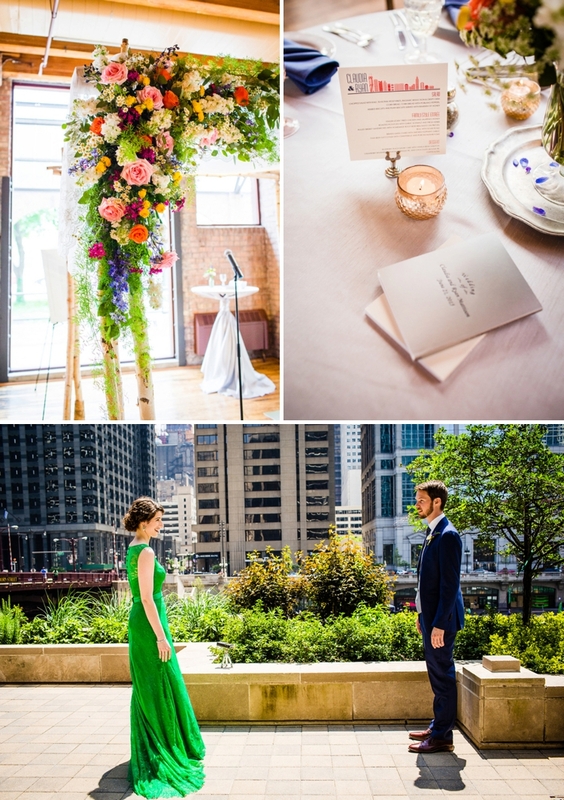 I can promise you the sassiest bride, a super cool Manhattan location, fantastic photography, care of Hales Studio, and the most magnificent colourful blooms. In fact the colours of Elise’s bouquet (created by the super talented Floresta NYC) provided the inspiration for the bridesmaids dresses! Elise sent them a picture of the bouquet and asked them to choose a dress (or wear one that they already owned) that would match the flowers. And how wonderfully does it all come together? Another thing I particularly love about today’s wedding is that Elise and Michael inviting their parents and Elise’s grandparents, married for 41, 44 and 62 years respectively to dance to her grandparents wedding song (A Sentimental Journey) to recognise the stable, long-lasting and loving relationships that they were lucky enough to be brought up around… Too fabulous, right? Elise, the Bride: Mike and I met on Okcupid! We both had tried online dating in the past – both of us did JDate actually, but in the end we met on the free non-religious site. We went for drinks for our first meeting and to the Metropolitan Museum of Art and Italian food for our first official date. There isn’t a single thing I don’t love about this wedding. And when I say love, I mean head over heels, squeal-worthy adoration. 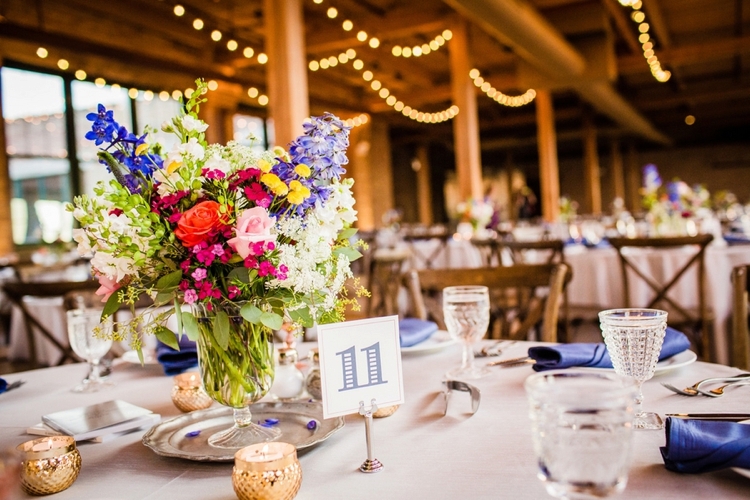 As I was putting the post together I was genuinely bursting with excitement at how gorgeous everything is, how adorable Jill’s report is, and how fabulous the photography by Chrisman Studios is too. Honestly, I really had to stop myself from including every. single. image. 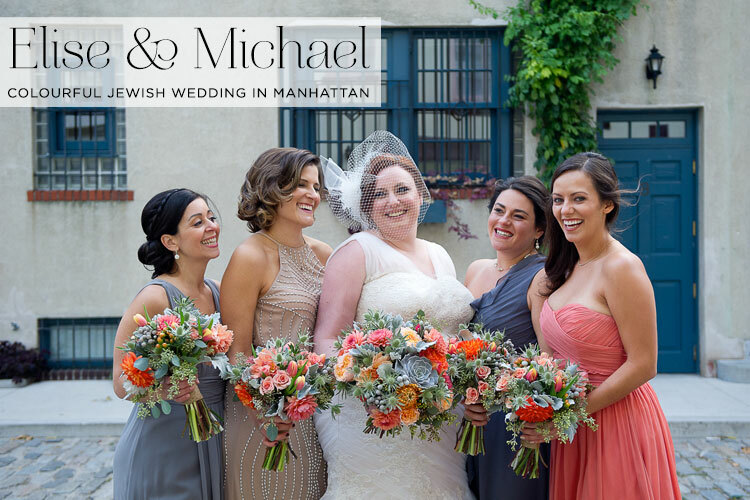 I’m a big fan of Chrisman Studio’s work (I love how they tell a story), and it’s no surprise that I’ve featured their Jewish weddings on the blog many times before. 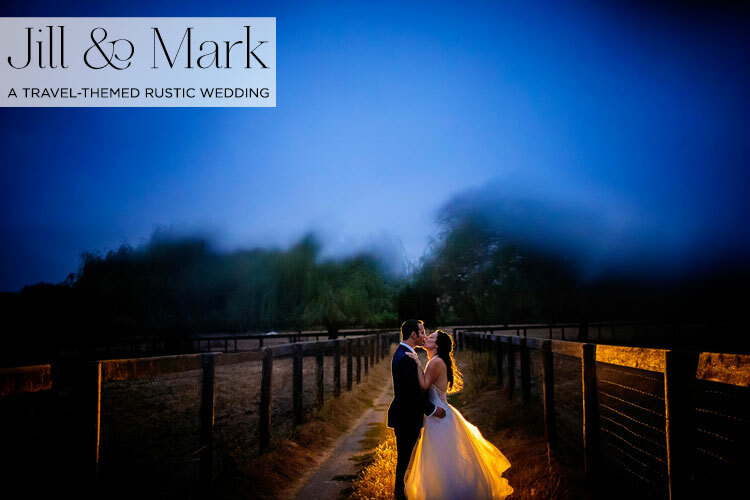 These two married at a gorgeous rustic barn in California, complete with all sorts of travel-related elements (to reflect Jill’s travel photography career) including personalised passports for each guest with all the wedding details and a Jill and Mark crossword puzzle. Fabulous! I must also single out Jill’s astonishing Vera Wang frock, and a Pop Art ketubah I am literally obsessed with. Indeed I featured it in this round-up of my favourite ketubah designs last year! This is SUCH a lovely one, I hope you enjoy it as much as I did! 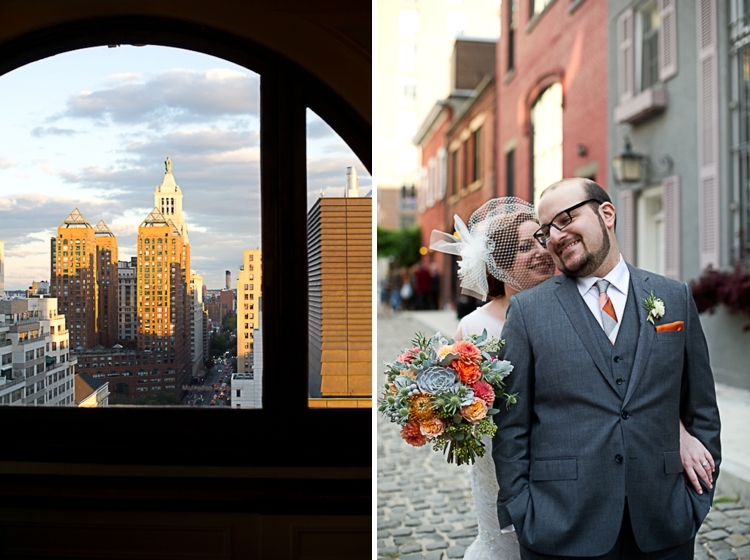 Jill, the Bride: In 2012, I received my first assignment from National Geographic. They sent me to Sydney, Australia for five weeks to photograph the National Geographic Traveler Guidebook: Sydney. When I got this amazing opportunity I had never been more excited about anything in my entire life. About one week into my time in Sydney I got a message on OkCupid from Mark. Mark’s email made me laugh. He was thoughtful. His profile was witty and he looked very cute in his photos. He also took the time to find my photography website, stalk me, and tell me what he liked about my work. I appreciated that effort. Something just intrigued me about him. We decided to start off on Skype with no video, just our voices. Our first conversation lasted hours, as did our second and third. Then we turned on the video, which actually was not as awkward as you may think it could be. Our conversations were very easy. I felt like I was myself from the beginning, probably because I felt like I had nothing to lose. He started serenading me early on, playing his guitar and singing for me. He would ask me what my favourite songs were and within 24-hours he had taught himself how to play and sing them to me over Skype. I became a Skype groupie. I would send him my best photos of the day and we would talk about my solo adventures. We talked everyday while I was away. I would catch myself on the phone just smiling the whole time, and daydreaming about this mysterious Internet man. We really had a chance to get to know each other, and by the time we had our first real in-person date it felt like we had been dating for a month. We thought our mothers would be proud that we really took the time to get to know each other before jumping into a relationship. I never would have admitted it out loud, because it sounds crazy, but there was a part of me that knew he would be my husband before we even met. He says the same thing about me. The day after I returned home from Australia we had our first date. He came over to my apartment (probably not the smartest idea for a first date with someone you met online – but I felt like a murderer wouldn’t have put in so much time talking to me just to kill me). I was jet-lagged, exhausted and wanted a night at home. We went food shopping and Mark made me dinner. The date was so fun – it just felt right. One of my main aims when I started Smashing The Glass was to ensure there would be an abundance of Jew-ish wedding inspiration, by which I mean interfaith wedding inspiration for readers who are marrying out, marrying in (or anywhere in between for that matter) — I call it Jew-ish! Prior to starting the blog, I remember hearing the same complaint over and over again from friends who were marrying the love of their loves who were of another faith. 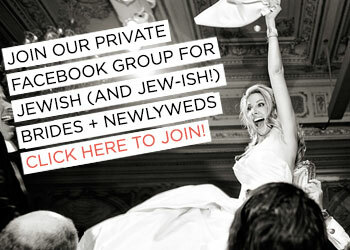 They desperately wanted a ceremony that embraced both their and their partner’s religion / culture, but there was simply no inspiration, online or offline, for how to create a meaningful fusion Jew-ish wedding. 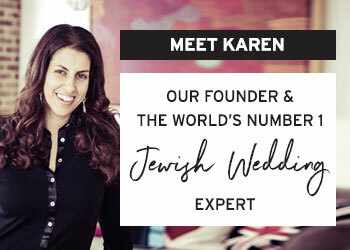 As a result the blog covers an array of topics from 5 ways to incorporate Jewish’ into a non-Jewish or Interfaith wedding to a diary of a Jewish bride who ‘married out‘, to spotlighting awesome Smashing Suppliers like Rabbi Paul Glantz who has lovingly officiated countless beautiful interfaith Jewish weddings. 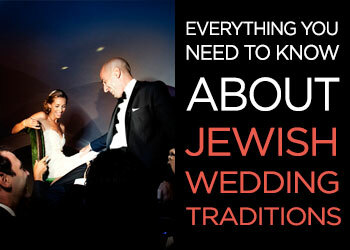 It therefore goes without saying that I love blogging mixed faith Jew-ish weddings as part of this focus. 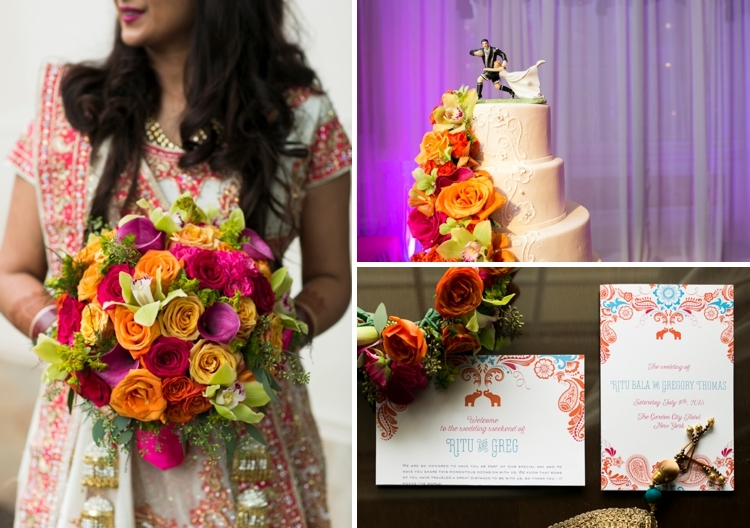 I’ve showcased several Indian-Jewish weddings on the blog before, and they are often very colourful affairs, but today’s W Day takes brights and rainbow hues to another level and should definitely be viewed with your sunglasses on! 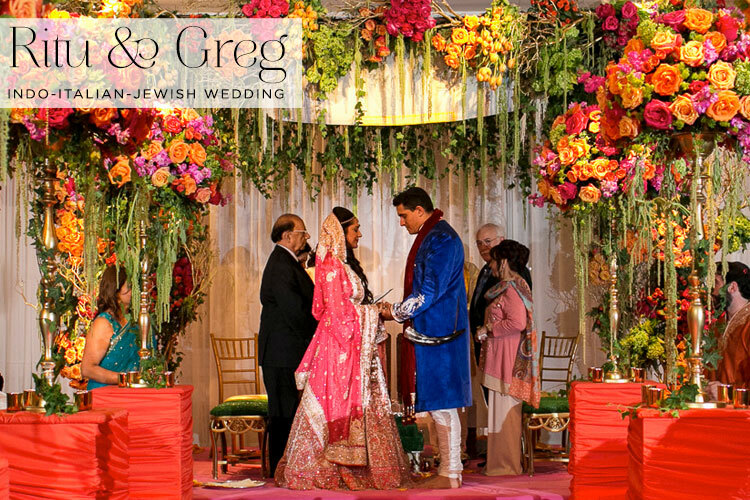 Ritu, of Indian heritage, and Greg, who’s Jewish, very much wanted a single ceremony versus two separate ones. They found that many of their individual traditions were able to be seamlessly intertwined eg. 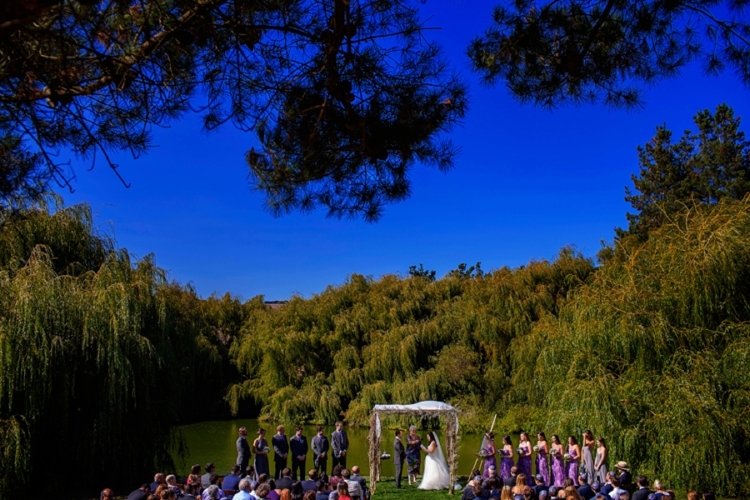 the chuppah / mandap structure is both a symbol of the home that they would build together (chuppah) and the universe (mandap) and the framework of each is very similar. This blending of both their cultures into one meaningful ceremony meant a lot to them (and by the way, I have a post going live this Friday on how to successfully mix two faiths into one beautiful ceremony… watch this space!). 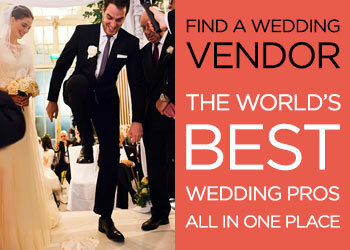 This entire wedding is magnificent, and not only do we have the images from Priyanca Rao Photography, but also the wedding video from Unique Visions Studio. Ritu’s wedding report is super fun to read too. Don’t miss a beat! I am not sure this story makes me look all that good! My friend (and eventual bridesmaid) Claudia and I were at a party for The Brooklyn Rugby Club’s final game of the season. I was a little hesitant about going in the first place… I had been sorta casually spending time with one of the rugby players and that dalliance had recently ended in a full on crash and burn! But Claudia convinced me to accompany her. And then I met the new guy on the team — Greg Aguele. He followed us to another bar and struck up a conversation with me. I was definitely stand-offish — I didn’t want to be the Brooklyn Rugby Groupie! But I will never forget him saying “I get it. But listen, I am a nice guy, and I think we should get to know each other”. And so we did. You know how often the first dress a bride tries on is THE dress? Well that was the the case regarding our venue. The Garden City Hotel was actually recommended by my father. The second I met with the team there, led by Jerry Rizzo, I was in love. We wanted a place that was close to where we both grew up and where both our families could easily get to. 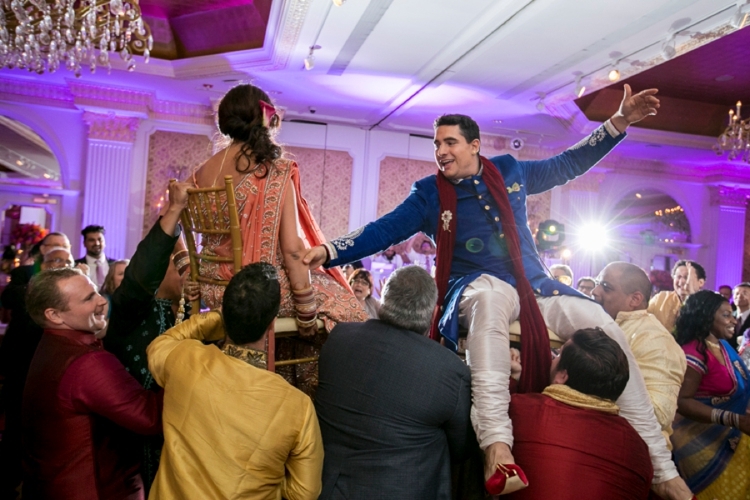 And we loved that all of our events (an Indian wedding can have quite a few) could be in one central place where all guests could also stay. Any bride who chooses to wear a green wedding dress is an absolute winner in my book, but Claudia takes it one step further with the cutest little green veil! Definitely a superstar in my book for daring to go against the grain and wear whatever maker her feel best for her big day. And then there’s the florals (seriously, have you seen the chuppah?). And the super cool stationery. 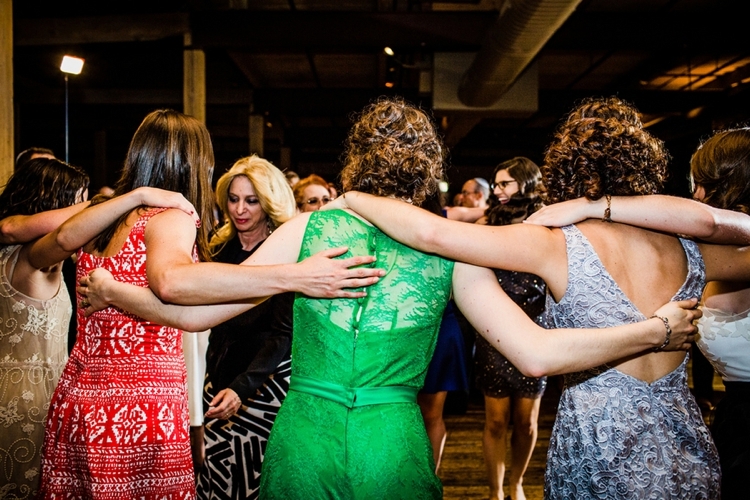 And the warmth and love radiating from every single image by Allison Williams Photography. And…. 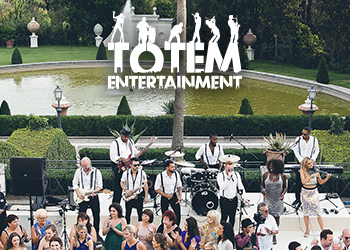 you get the picture – this wedding is very, very special. 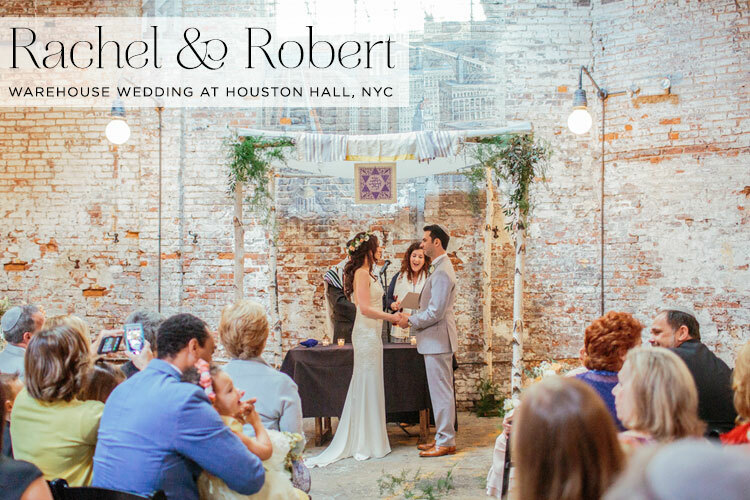 In a slight deviation from the norm, the narration of this W-Day comes directly from Carlene Smith of Naturally Yours, Claudia & Ryan’s super talented wedding planner. Enjoy! 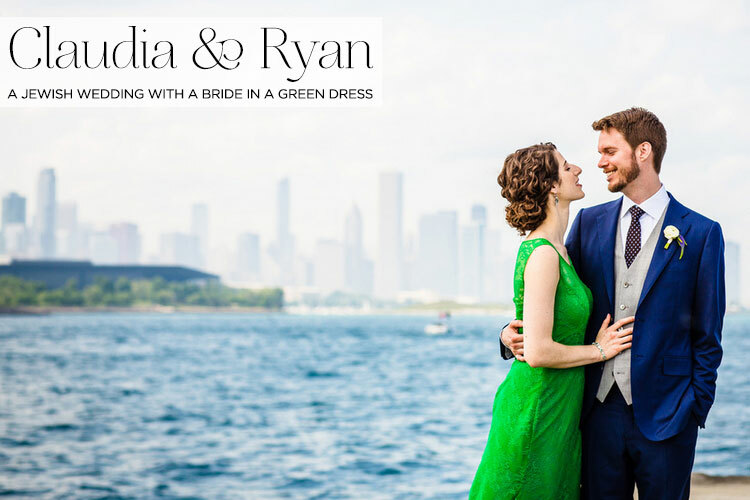 This wedding may very well make you green with envy (could not resist, but you’ll excuse me because it’s a Friday, right?). Happy weekend everyone! Carlene Smith, their Wedding Planner: Despite attending the same college, Claudia and Ryan didn’t meet until they attended a serendipitous goodbye party for a mutual friend in New York. After their initial conversation, Ryan instantly felt moved by Claudia. He asked her out, but she said no! In the form of an email, Ryan laid out a convincing argument as to why she should go on a date with him – and she agreed! Fast forward a few years later, Ryan planned an elaborate proposal that involved a cute scavenger hunt (including their friends and family from all over the country) that ended with him on one knee on the 94th floor of the John Hancock Building.